Moreover, the Obama administration and some Beltway factions seemed to believe that factional leadership silos in Tehran – and Qom — might be manipulated to serve US strategic interests. Even before the Lausanne agreement, and in the lead-up towards the Vienna deal, this possibility was practically discussed by US Secretary of State John Kerry, Iranian Foreign Minister Javad Zarif, and Russian Foreign Minister Sergey Lavrov. In diplomatic talk, these were “discussions of regional issues”. In the bigger picture, and evidently oblivious to a slew of technical problems, the real Masters of the Universe shadowed by the Obama administration also entertained a simple equation; Iranian gas should eventually replace Russian gas to supply the EU. Russia must – and will — suffer. Forget that Gazprom is a commercial juggernaut on two fronts, Europe and Asia. And forget that Gazprom is coordinating crucial energy moves with Tehran. Yet the energy wars never stop. NATO’s perennial expansion marches in tandem with Washington – successfully — sabotaging South Stream; now Washington will do whatever it takes to sabotage Turk Stream and prevent austerity-devastated Greece from linking to the pipeline. Astonishing as it may seem, Iran is now back in Washington’s favor as the only possible, future Pipelineistan star. Iranian Foreign Minister Javad Zarif has been extra busy “selling” the deal with the P5+1 in Vienna to internal public opinion. He never tires to stress that once foreign businesses enter Iran, they will act as a barrier against the reinstatement of sanctions – which is now the Holy Grail of US neocons and neoliberalcons. 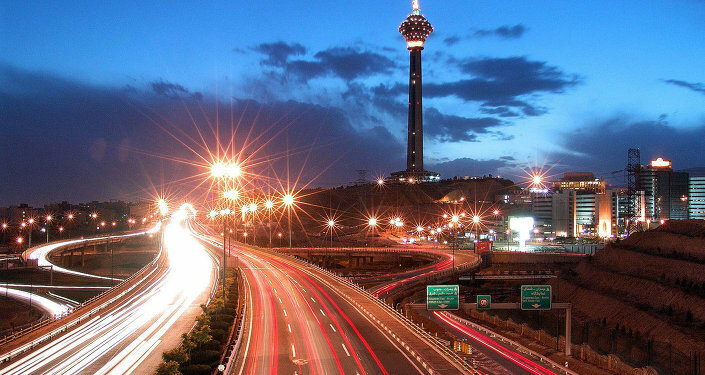 Iranian planners are busy drafting the pathways for the reconstruction of the country’s core economic sectors. Iranian oil and natural gas projects – many with input from foreign energy majors – may be worth $185 billion by 2020. On July 20, the UN Security Council unanimously (15-0) endorsed the Vienna deal — and the termination of seven UN resolutions imposing sanctions on Iran since 2006. That provoked shrieks of desperation in that nest of corporate paperboys – the US Congress. Someone should have explained to that lot this is an international deal. The EU, meanwhile, approved the deal on July 21 – as key EU members, itching to restore trade relations, are now on caravan mode, hitting the Persian trail. There is a 90-day grace period before sanctions can be lifted, following the UNSC vote. Realistically, most UN and EU sanctions, as well as some US third party sanctions, will be lifted only by early 2016. The bottom line is that sooner rather than later – whatever the campaign by US neocons and the Israeli and Saudi lobbies — the whole architecture of sanctions, especially financial and banking, is bound to collapse. Iran will soon be open for business for all Eurasia. On July 18, even before the UN unanimous vote, Iran’s Supreme Leader Ayatollah Khamenei re-entered the scene with a bang, clarifying where Iran is heading next, geopolitically. He emphasized the nuclear deal would not change Tehran's policy toward the "arrogant" US government. John Kerry was mortified; as if he didn’t know, based on his extensive conversations with Zarif. So there we have it. Washington carrots will buy nothing – as the stick also didn’t. 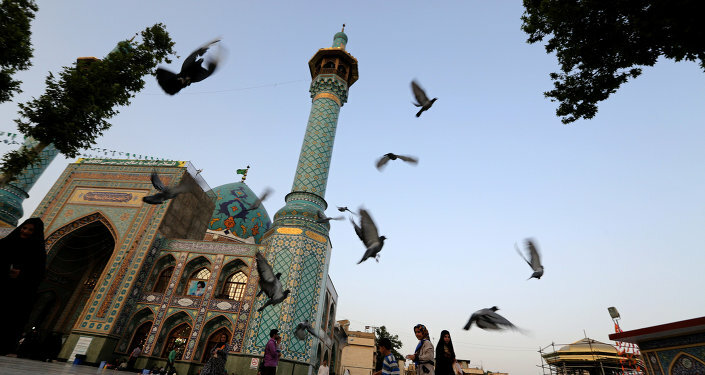 What Iran post-sanctions is aiming at is what’s brewing in the New Great Game in Eurasia; the interlocking integration promoted by the Chinese-led New Silk Roads and the Russia-led Eurasia Economic Union (EEU); the infrastructure financing of the BRICS New Development Bank (NDB) and the China-led Asian Infrastructure Investment Bank (AIIB); the prospect of soon joining the Shanghai Cooperation Organization (SCO); the Eurasia-wide offensive to bypass the US dollar; and of course the normalization of trade and commerce with Europe. The Pentagon’s new military strategy made it very clear that the number one issue for the Masters of the Universe – irrespective of who’s in the White House — is a concerted push to strategically isolate both Russia and China, and destroy their strategic partnership. As unrealistic as this policy may be, it may even lead to a hot war; the Pentagon does leave the option on the table. The Masters of the Universe, setting policy way above their paperboys in the Obama administration and already thinking post-2016, are actively engaged in a three-pronged military strategy. The intelligence establishment in Russia, China and Iran – the Top Three Eurasian integration powers – totally knows what is going on. Failed state Ukraine is just a pretext for NATO’s perpetual expansion. Threatening a huge area from Russia’s southern underbelly to the west of Iran, ISIS/ISIL/Daesh is being instrumentalized, Divide and Rule-style, to actually end up with Sykes-Picot and pave the way for yet another Pentagon intervention, in Syria, in Iraq, or in “Syraq”. And in Asia-Pacific, the “pivot to Asia”, as much as it’s just a chimera for the moment, remains in play, centered on interfering with China in the South China Sea. From Syria to Ukraine all the way to the South China Sea, the trend points to Exceptionalistan creating havoc for the Top Three Eurasian powers. This is a frontal shock of two models – what I have previously described as Eurasia integration against the Empire of Chaos. The empire won’t buy — or bribe — a new vassal. So expect an inevitable, nasty renewal of the Wall of Mistrust even before the architecture of sanctions eventually vanishes.